Process, Utility, Language • How does the design process change when making multiples? These stools are an exploration into aligning graphic language and designing for manufacture. The angles and dimensions are direct responses to the Tension Table, and the building block approach helped uncover opportunities for efficiency in jig making and repetition. 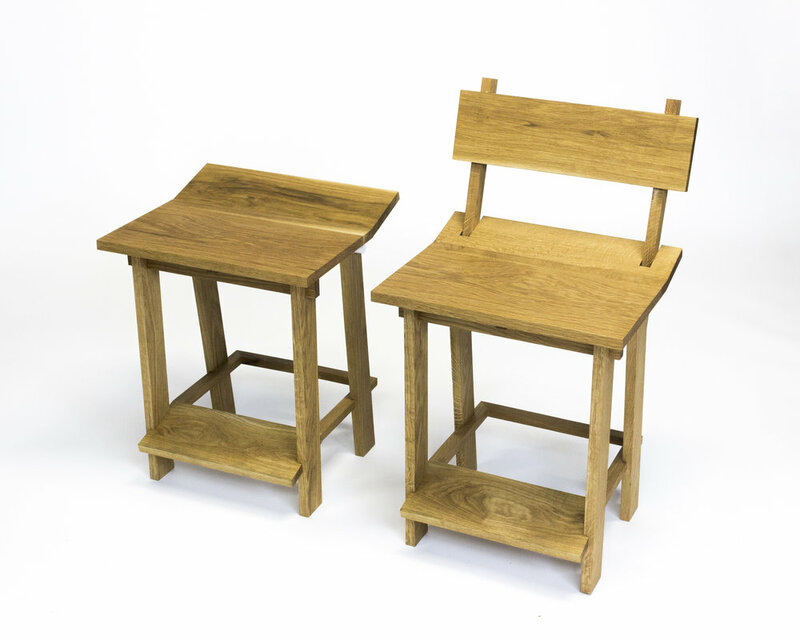 The seat-pans of the stools rest at 20.5" in height, slightly taller than typical chair height. This matches the Tension Table, which was designed slightly taller to double as a workspace. 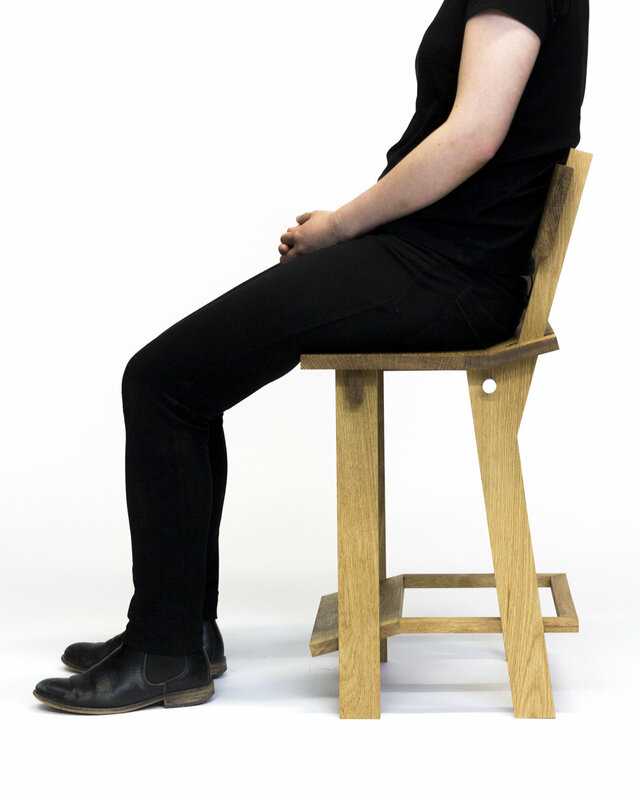 To accomodate individuals of average or shorter than average height, the stools feature a slanted footrest four inches from the ground. 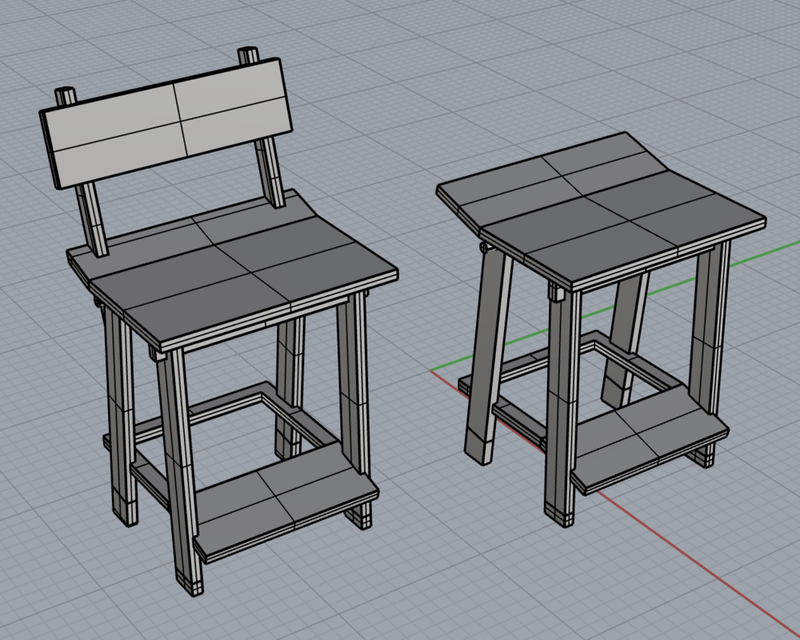 While the table is flat-packable, the stools are not. Instead, to match the language of the table, the stools feature a white dowel to mimic the ropes of their companion. Original considerations included tension-bound chairs, tension-bound benches, and myriad stool compositions. First iteration assemblies and parts lists were put together in Rhino for the CNC. 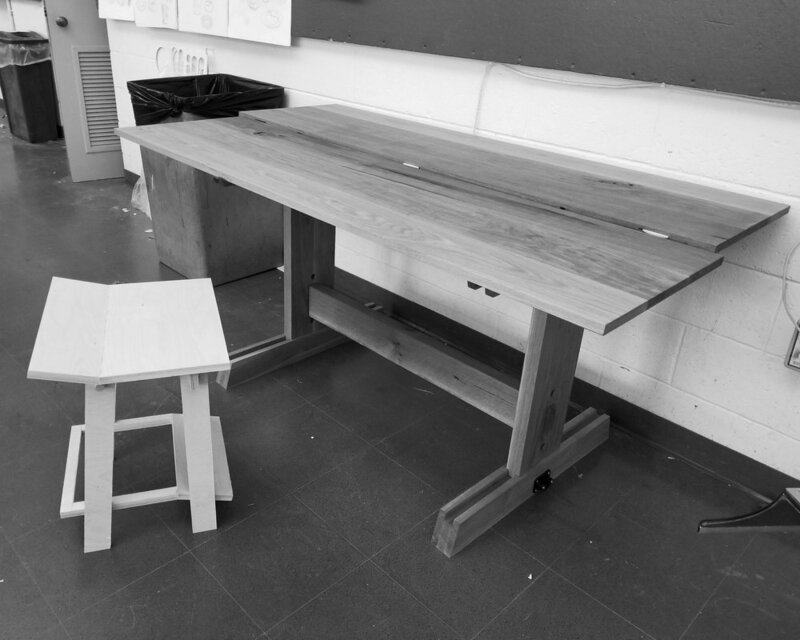 A 1:1 plywood prototype helped to measure stool height and comfort relative to table height. Stools were generally assembled in tandem, one step at a time.